A kitchen is possibly the best room in the house. They're inspiring and beautiful, often filling our bellies with food and our hearts with happiness. Kitchens are the perfect place for the family to come together, to entertain friends and to have some fun and some creativity with food and baked goods. 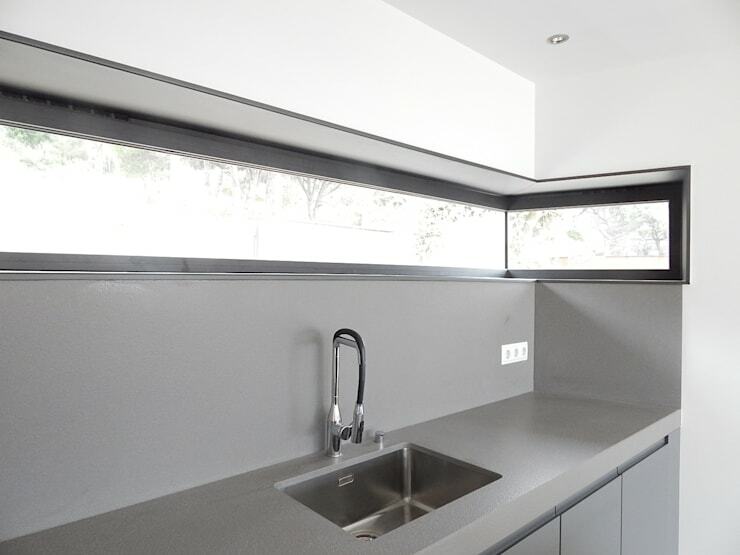 A kitchen should also reflect the style of the owner and it should be practical, durable, beautiful and efficient. There are a thousand ways to design a kitchen, but we always think that it's going to be too expensive. This is not the case. In fact, today at homify we are going to show you five cheap and beautiful kitchens so that you can see just how much potential there is. You'll want to invest in your kitchen immediately after reading this! Using modular furniture is one of the most practical and common options in the market and there are so many businesses and specialised stores that can help you get the perfect pieces. The best part of this type of solution is that you can postpone the purchase of a module if you don't have a big enough budget, setting up the kitchen little by little. Usually this type of furniture is built with laminates, where there is a wide variety on the market! These vary in price so you can also choose some gorgeous, modern pieces that suit your budget. If you are someone who likes to do arts and crafts, we have the perfect economical and original option for you. 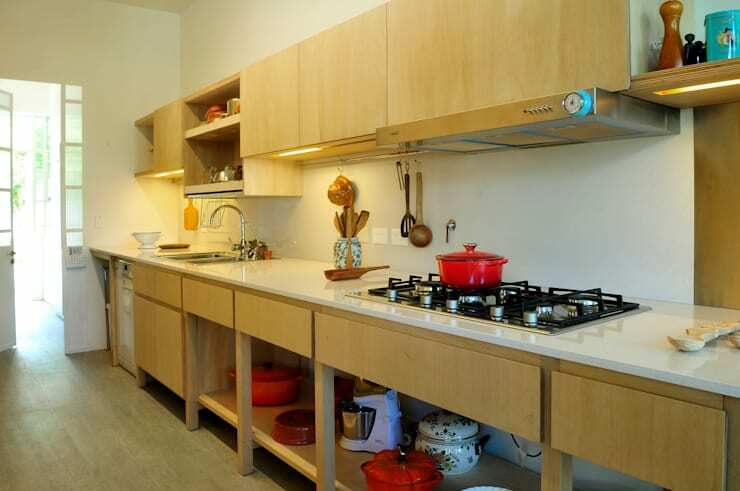 You can build your kitchen from sheets of pine wood! Pine wood is one of the most economical materials on the market, coming in different types and different price ranges. You can build comfortable and versatile furniture like design professionals Paula Herrero have done here, saving money and expenses. You can also design the furniture according to your needs and give it some personality and character. Minimalism is a great ally when it comes to economic design. The concept of a simple space can help us get away from cluttering and crowding a kitchen with items that end up increasing our budget. It also can end up drawing attention away from the beauty of the space. In this design, for example, we can see how the neutral grey tones and the simple low cabinets make for a very appealing kitchen space. The smooth tops are very sleek and savvy, while the window the runs along the wall allows natural light to flow into the space. One way to make the most of a kitchen budget-wise is to avoid features that have too many handles. In this design, we can see how gorgeous and modern a kitchen can look when it doesn't have handles on the drawers and cabinets. It also means you don't have to spend money on expensive pieces! In a kitchen space, food often ends up spilling, sauces splash and grubby hands get everywhere. This is why it's important to invest in resistant materials that are durable and easy to clean. These don't have to be expensive! 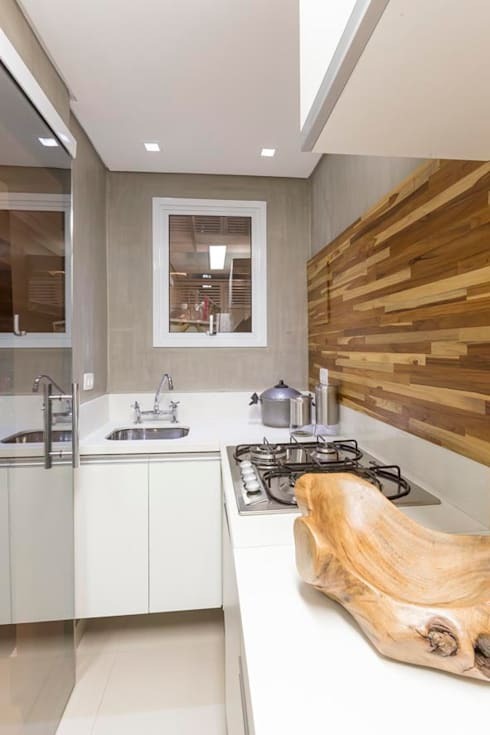 Wood for example is a wonderful material, bringing a warm and earthy touch to the kitchen. If sealed right, it is also easy to wipe and clean and will last for many years. 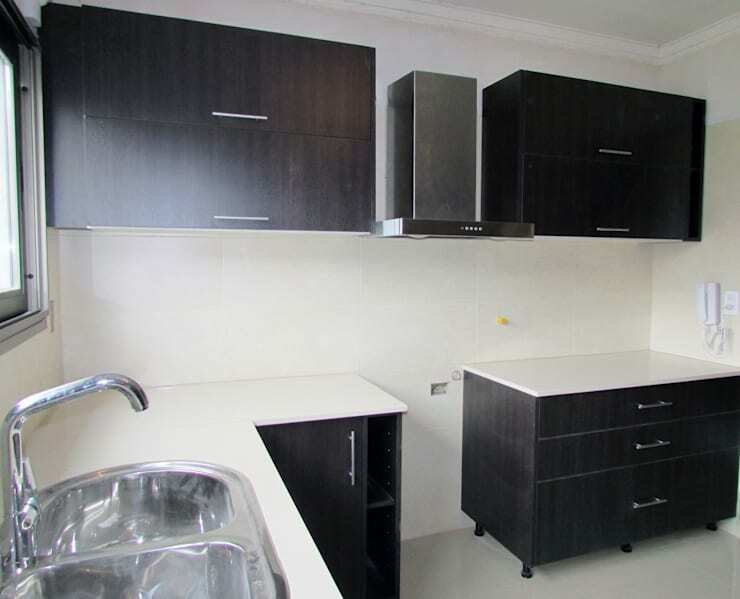 Other materials that are suitable are marble, granite and stainless steel. These are all neutral and stylish too. Invest in durable materials for your kitchen—they will last a lifetime. If you've enjoyed this ideabook, you'll love these: 10 inspiring kitchens that will make you want to cook up a storm.